Dakota Johnson and Nat Faxon in “Ben and Kate” on Fox. 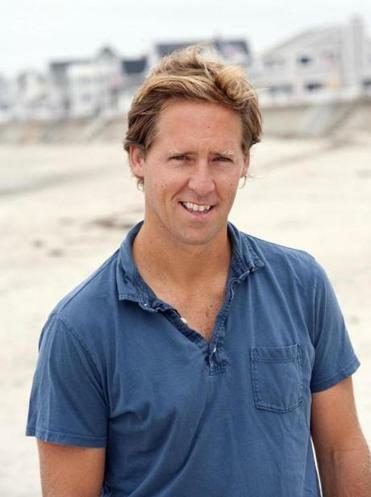 BEVERLY HILLS — If you ever question whether a single decision can alter the course of your life, take a look at the case of Nat Faxon. During his junior year of college in the mid-’90s, the actor/writer was supposed to go abroad to perform with a puppet theater in Bali. When that fell through, Faxon scrambled for a backup plan and ended up spending his time “abroad” at Pomona College in Claremont, Calif., doing an independent study about taking classes with the famed Los Angeles comedy troupe the Groundlings. That independent study was one of a pattern of self-starting maneuvers that would eventually lead to three of the biggest moments of Faxon’s banner 2012. Earlier this year, the Manchester-by-the-Sea native stood onstage at the Kodak Theatre with Alexander Payne and his longtime writing partner and fellow former Groundling Jim Rash to accept the Academy Award for best adapted screenplay for “The Descendants.” This summer he made his debut as a feature film director on the indie “The Way, Way Back,” from a script by himself and co-director Rash, and shot here on the South Shore. And on Tuesday, the new Fox sitcom in which Faxon stars as half of the titular duo “Ben and Kate” will premiere at 8:30 p.m.
“It’s crazy, right?” he asks, still incredulous that he — “that guy from ‘Beerfest’ ” — has an Oscar, directed a movie, and is about to star in one of the few buzzed-about shows of the new fall season. The series chronicles the misadventures that occur when a single mom welcomes her lovable doofus of a brother home to help care for her daughter. Faxon is that lovable doofus. “It’s a role that I embrace,” the genially playful actor says with a chuckle. And, he freely admits, a role he has previously played in different iterations. It was a circuitous path that began even before his independent study. “Our only other choice was to join an a cappella group, and I don’t think either of us could sing,” says Faxon’s former classmate and fellow Bobby Peru member Marc Campbell with a laugh. All the while he was looking for acting work, Faxon and Rash were writing away knowing that, like the Bobby Peru troupe, you have to create your own opportunities. One thing that does happen is waiting. And while they waited, Faxon and Rash wrote “The Way, Way Back.” That got good industry feedback, which led to their gig on “The Descendants,” which led to the Oscar, which led to the pair finally being able to make “The Way, Way Back,” a coming-of-age tale based, in part, on events in Rash’s life, and starring Steve Carell and Sam Rockwell. “It’s a labor of love, and the Oscar has enabled us to get the momentum to get the movie made and to be able to direct, so I think the reward from the Oscar means more creatively than it does financially,” or in street-level facial recognition, he says. But that could change if “Ben and Kate” becomes a hit. Faxon’s friends hope it does, given how tailor-made the part seems for him — even though he’s actually playing a character based on “Ben and Kate” creator Dana Fox’s brother Ben. Faxon hopes for the best but continues to keep writing on the side, working on a family dysfunction comedy with Rash, developing other ideas, and occasionally flashing on the fact that he has an Oscar.